Beeat is a simple and beautiful metronome application. It's a tool for helping musicians to keep the rhythm for iPhone and Apple Watch devices. Select the Beats Per Minute (BPM) just by scrolling up or down in the screen. Change the Tempo with the two wheels at the sides. 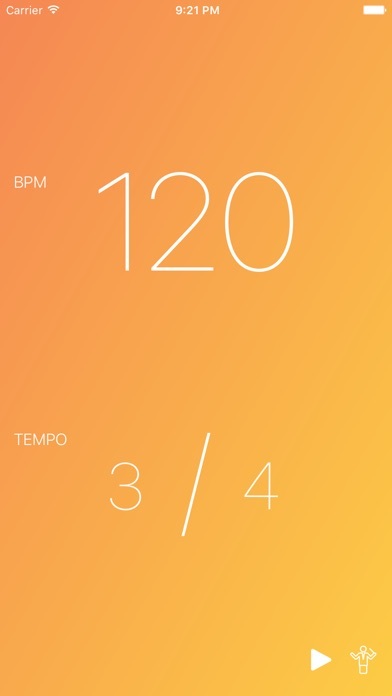 Detect a desired BPM by tapping the screen with your own rhythm. Change background colour of the application. The Apple Watch Beeat version is designed to vibrate in your wrist while you start playing your instrument. Select the BPM and the Tempo, feel the rhythm, play... Whenever the screen of your device locks the vibration will stop to save battery. You can synchronise your settings with the phone on real time.